I’ve been hearing a lot about Little Joy lately. It seems that a lot of people have known about them for a while now, but I just gave them a listen for the first time today. 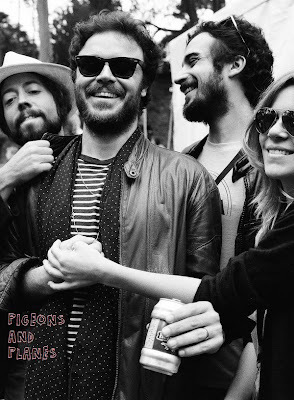 Little Joy is the side project of Fabrizio Moretti of The Strokes, Rodrigo Amarante of Los Hermanos, and Binki Shapiro. Moretti and Amarante met over a year ago at a Portuguese festival in Lisbon and stayed up all night talking about making music together that had nothing to do with their other bands. Little Joy does just that. The songs are sweet and simple, and a few of them remind me a little of the Velvet Underground. So far “Unattainable” is my favorite, but all are worth checking out.